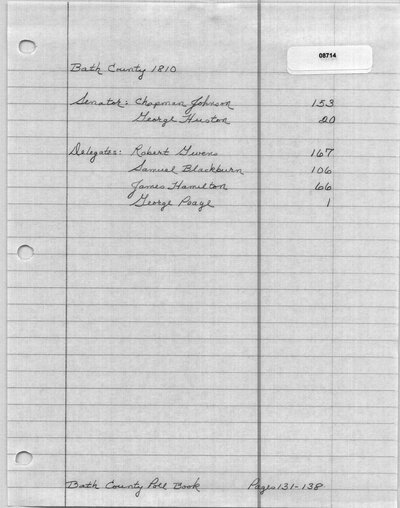 Bath County Poll Book. 131-138. Library of Virginia, Richmond.